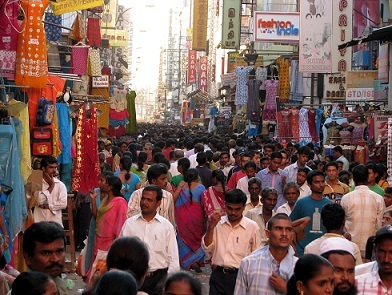 As the fastest-growing major economy in the world, India has a lot of potential for investors. Currently, the country has more than 45 million small- and medium-sized companies (SMEs), compared to just 1.1 million in Canada. Excel Funds is now offering Canadian investors a way to tap into the market with the launch of its New India Leaders Fund. Excel’s New India Leaders Fund aims to maximize long-term capital growth by investing in an actively managed portfolio composed primarily of equity securities from companies considered to be emerging leaders. The fund is part of an expanding lineup of Excel’s India-focused investment strategies, including the Excel India Fund, the largest and longest-running India-focused mutual fund in Canada. Sales at small private firms grew by 12% in 2014-15, according to a survey conducted by the Reserve Bank of India. Meanwhile, sales at large companies grew by just 1.4%. Operating profit at smaller firms expanded by 16.6% in the same period. And Indian small- and mid-caps returned 8.7% and 8.4%, respectively, in the March quarter. Emerging markets: Hardier havens than before?